See also the ICONCLASS works listed with the material on Bartsch under Historical Surveys. These tools provide iconographic access to Bartsch. Duchet-Suchaux, Gaston, and Michel Pastoureau. The Bible and the Saints. Flammarion Iconographic Guides. Paris: Flammarion, 1994. Alphabetically organized entries for the saints, biblical characters and scenes from the Old and New Testaments, animals, plants, allegorical personifications and religions dignitaries (e.g. popes and pilgrims), and insignia of religious office (e.g. the mitre). A practical guide that "does not seek to be exhaustive" but gives basic iconographic information. Includes bibliographic references. Emison, Patricia A. The Art of Teaching: Sixteenth-Century Allegorical Prints and Drawings. New Haven: Yale University Art Gallery, 1986. Exhibition catalog of the 1986 Yale Art Gallery show on allegorical prints and drawings by Renaissance artists from Italy, France, Germany, Britain, and the Low Countries. Introduction is an extensively footnoted essay on Renaissance allegories. The 56 prints are illustrated and accompanied by footnoted discussion. Hall, James. Dictionary of Subjects and Symbols in Art. London: John Murray, 1974. Dictionary of Christian and classical themes and symbols, found in Western art from the Renaissance to the present, in "the mainstream of the Christian and humanist tradition in art." Entries are alphabetical by subject. Does not list works of art. Many cross-references. Sparsely illustrated with line drawings. Marle, Raimond van. Iconographie de l'Art Profane au Moyen-Age et a la Renaissance et la Decoration des Demeures. New York: Hacker Art Books, 1971. Comprehensive study of the secular iconography of the Middle Ages and Renaissance. Lengthy bibliography at the end of each volume. Does not have an index. Vol. I: Allegories et Symboles. Vol. II: La Vie Quotidienne.Profusely illustrated. Clark Stacks N7697 M37 Repr. Réau, Louis. Iconographie de l'Art Chrétien. Paris: Presses Universitaires de France, 1955. Indispensable reference tool for research in Christian iconography. Scope ranges from early Christian to 20th-century representations, with emphasis on Western medieval art. Each subject heading is translated into several other languages, so that the work can also function as a polyglot dictionary of iconographical terms. Well-illustrated. Roberts, Helene E. Encyclopedia of Comparative Iconography: Themes Depicted in Works of Art. Chicago: Fitzroy Dearborn, 1998. Intends to "show the variety of uses to which…narratives and other themes have been put in the history of art and to discuss some of the changing interpretations as the themes pass through different ages, cultures, and forms." Orders iconographic narratives (e.g. biblical, mythological, and literary texts) according to actions performed by the characters, situations in which they find themselves, and concepts relating to those situations and actions (e.g. abandonment, adultery, ascent, avarice). Essays discuss personifications, allegories, gestures, characteristics, and other subjects. Detailed indexes to persons/places/concepts, artists/works of art, and names/terms provide cross-referencing. Cornelis Galle, after Sir Peter Paul Rubens. 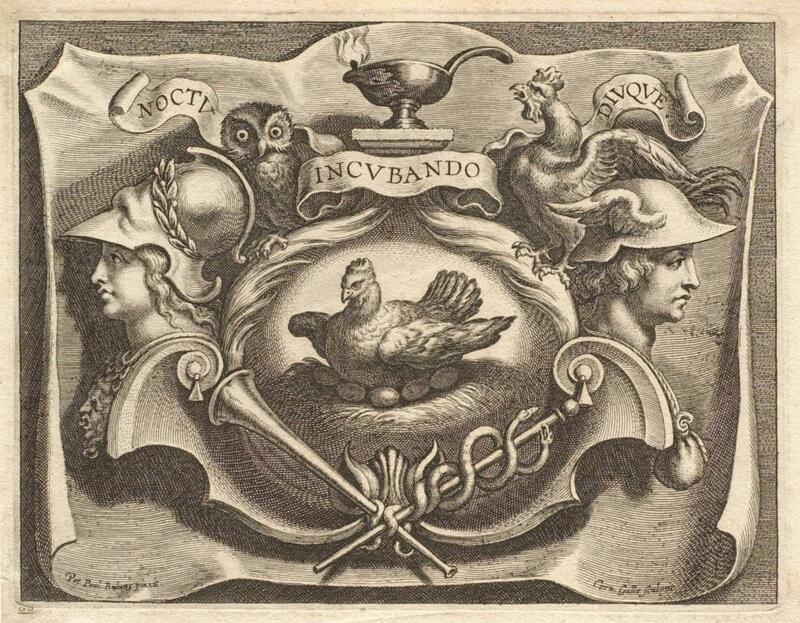 Frontispiece for David van Mauden, Speculum aureum... & Bonacina, Opera Omnia, Antwerp. Engraving on paper, ca. 1631. Sterling and Francine Clark Art Institute. Williamstown, Mass.